Federal Medicare Appeals Lawyers - Oberheiden, P.C. Medicare audit determinations, impositions of civil monetary penalties (CMPs), and criminal Medicare fraud convictions are all subject to appeal. 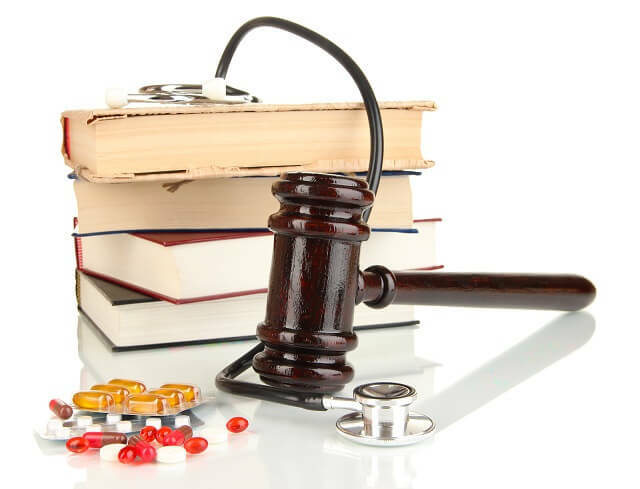 In this article, the health care fraud defense attorneys of Oberheiden, P.C. answer common questions about Medicare fraud appeals. If your business or practice’s Medicare billings have been scrutinized by a Zone Program Integrity Contractor (ZPIC) or Recovery Audit Contractor (RAC), or if you have gone through a civil enforcement proceeding or criminal prosecution and lost, it is important to quickly assess your options for filing an appeal. The outcome of your audit or case could have lasting consequences; and, to mitigate the damage, your best (and only) option may be to try to have the decision overturned. Q: How long do I have to appeal my decision? The length of time you have to file an appeal depends on the nature of your case. If you received an unfavorable audit determination from a ZPIC or RAC, you have 120 days to file an appeal (called a “request for redetermination”) with the appropriate Medicare Administrative Contractor (MAC). However, in order to avoid recoupment liability, you must file within 30 days. In both instances, the clock starts running from the date you receive a demand for payment. In criminal cases, you only have 10 days to file a notice of appeal. This time window runs from the date of your conviction. The notice of appeal is a statement of your intent to appeal – it is not an appeal itself. However, if you fail to timely file the notice, you will likely be deemed to have waived your right to appeal. In other situations, the limitations period for filing an appeal varies. For example, in certain civil cases you have 30 days to file a notice of appeal and there are varying timelines at each stage of the audit appeals process. In order to preserve your right to challenge the outcome of your contractor audit or Medicare fraud case, it is imperative that you speak with an experienced attorney as soon as possible. Q: What types of issues can you appeal in a Medicare fraud case? Q: Do I need to hire a new lawyer to handle my Medicare appeal? While you do not need to hire a lawyer for your appeal (in other words, there is no legal requirement to retain new appellate representation), it will be important to assess whether retaining your existing counsel or hiring new appellate counsel gives you the best chance of success. There are pros and cons to both, with the nature of your case once again also coming into consideration. For example, when filing a request for redetermination of an unfavorable audit, retaining your existing counsel could be the best option since the process moves fairly quickly (at least, compared to federal litigation), and the attorneys who represented you during your audit will have a clear picture of any mistakes the ZPIC or RAC made during the process. On the other hand, if you believe that you could have avoided the need for an appeal with better representation, then this obviously is a situation where you would want to consider looking for a new attorney with specific experience in ZPIC and RAC audit appeals. In civil and criminal cases, there are some additional factors to consider. While your trial attorney will undoubtedly be intimately familiar with the happenings at trial, he or she may not have experience at the appellate level. Federal trials and appeals are entirely different propositions, and a savvy trial lawyer will not necessarily have the skillset required to pursue a successful appeal. In addition, in order to determine whether you have grounds to assert ineffective assistance of counsel (which is a Constitutional claim under the Sixth Amendment), you will need to seek unbiased advice from an appellate attorney. Q: What happens if I lose my Medicare appeal? This is an important question. From a purely legal perspective, if you lose your Medicare appeal, you have two options: (i) you can accept the decision, or (ii) you can continue to appeal until you have exhausted your rights at all levels of the appellate process. There are five levels of appeal for ZPIC and RAC audit determinations; there are various levels of appeal in civil enforcement matters depending on where your case starts; and, there are two levels of appeal – the U.S. Circuit Courts of Appeal and the U.S. Supreme Court – for criminal convictions in federal district court. But, there are financial considerations here as well. There are costs involved at each stage of appeal, and each stage takes time. When deciding whether to file an initial appeal and how far to go in the appellate process, it is important to have a strategy in place that takes both the immediate and long-term burdens on your business or practice into consideration. It is also important to keep in mind that losing your appeal could mean much more than accepting the penalties imposed. This is especially important with regard to ZPIC and RAC audits. In addition to demanding recoupments and denying payments, these entities also have the authority to institute prepayment review (which can substantially delay future Medicare reimbursements), refer your case to federal authorities for civil or criminal investigation (and possibly prosecution), and refer your business or practice to local licensing boards (which could lead to loss of licensure). Q: What happens if I win my Medicare appeal? This, too, is a question that raises both legal and practical considerations. While a successful audit appeal can lead directly to a favorable final resolution, more often than not, a successful civil or criminal appeal will lead to a retrial. If the appellate court determines that you did not receive a fair trial for one of the reasons listed above, the remedy, generally speaking, is to give you the fair trial to which you are entitled. As a result, when deciding whether to file an appeal, you also generally need to decide whether you are prepared to go back to trial where you will once again face an uncertain outcome. Of course, as with all legal matters, there are exceptions. For example, if the appellate court rules that your verdict was not supported by the weight of the evidence, the U.S. Attorney’s Office may decide that it does not have enough to take you back to trial. In this scenario, a successful appeal can effectively mean a successful end to your Medicare fraud case. However, before you put your eggs in this basket, it is critical to conduct a thorough assessment of the likelihood of various potential outcomes in your appeal. Q: What are the stages of appeal for an unfavorable ZPIC or RAC Medicare audit determination? Redetermination is the first stage of the Medicare audit appeals process. As noted above, requests for redetermination must be filed with the appropriate MAC within 120 days of receipt of a demand for payment, or within 30 days to avoid immediate recoupment liability. If your request for redetermination is denied, the next stage is referred to as reconsideration. Requests for reconsideration must be filed with the appropriate Qualified Independent Contractor (QIC) within 180 days of receiving your redetermination denial. The third stage of the appeals process for ZPIC and RAC audits is your first opportunity to appear before a government agency. If the QIC denies your request for reconsideration, you then have the right to file an appeal with the Office of Medicare Hearings and Appeals (OMHA), which is a part of the U.S. Department of Health and Human Services (DHHS). At this stage, you will present your case at an administrative hearing, and an administrative law judge (ALJ) assigned by OMHA will make a determination as to liability. You must file your appeal with OMHA within 60 days of the QIC’s denial of your request for reconsideration. If the ALJ rules against you, the next step is to appear before the Medicare Appeals Council, which is also part of DHHS. The Medicare Appeals Council will review the OMHA’s decision for errors of law and abuses of discretion – similar to the issues considered in criminal Medicare fraud appeals. Once you have exhausted the administrative procedures for ZPIC and RAC audit appeals, the final stage is to pursue your case in federal district court. If the court finds that a decision at any of the lower levels was, “against the substantial weight of the evidence” or “arbitrary and capricious,” it will reverse the outcome and your case will proceed (or end) accordingly. Q: What qualifications should I consider when choosing a lawyer for a Medicare fraud appeal? Relevant experience: Does the attorney have specific (and substantial) experience in health care fraud enforcement defense? Medicare knowledge: Does the attorney focus his or her practice on health care enforcement matters, such that he or she will be knowledgeable about the current and former Medicare billing regulations? Proven results: Does the attorney have a proven track record of securing favorable results in Medicare fraud audits, investigations, prosecutions, and appeals? If you have more questions about the appellate process for Medicare contractor audits or the considerations involved in filing a civil or criminal Medicare fraud appeal, we encourage you to contact us for a free case assessment. To speak with our team of experienced medicare appeals lawyers in confidence, please call (888) 680-1745 or inquire online now.